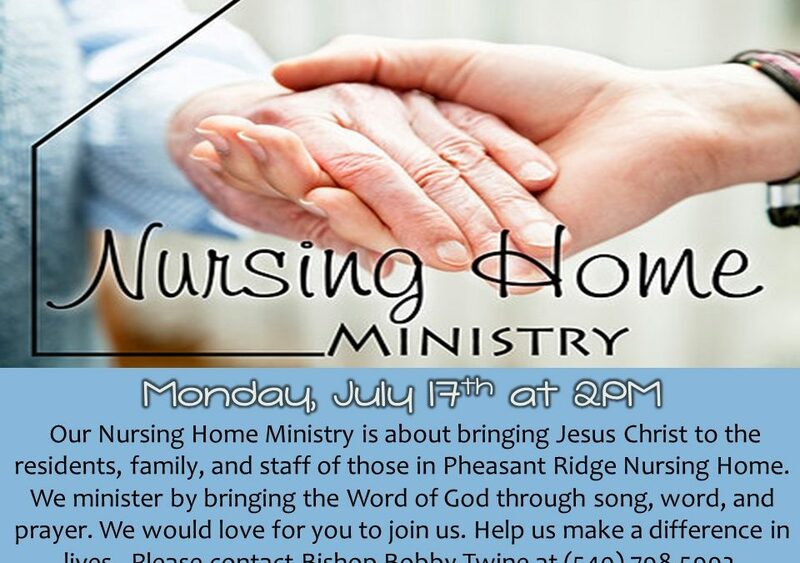 Our Nursing Home Ministry is about bringing Jesus Christ to the residents, family, and staff of those in Pheasant Ridge Nursing Home. 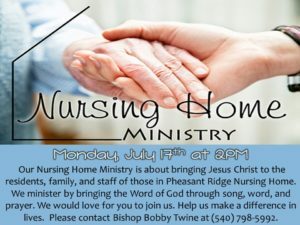 We minister by bringing the Word of God through song, word, and prayer. 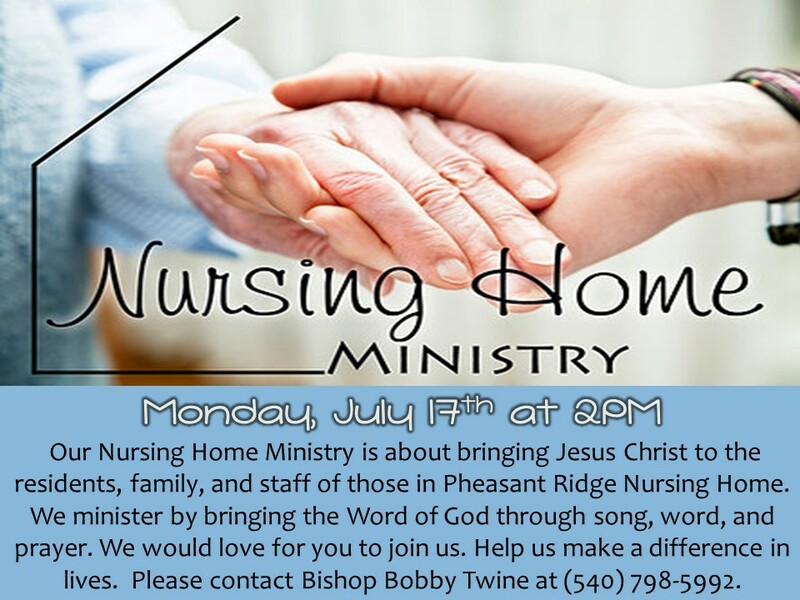 We would love for you to join us. Help us make a difference in lives.